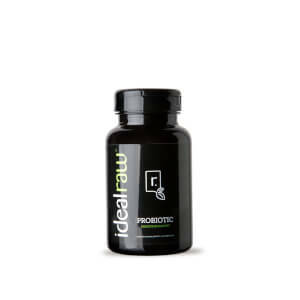 I bought this product to try and see if it would help boost my immune system at the time I was feeling a bit sluggish. Two to three days after taking the supplement, I felt a bit better with improved energy level. Big D gets an A++ from me!! I've been taking Defense for the past couple of weeks. Everywhere I go people are coughing, sneezing ... yikes! But it's that time of year and who has time to get sick!! I take one in the morning and if I've been out and about around the public a lot (shopping, church, etc. ), I take another in the evening just to be safe. I really enjoy this supplement. I am noticing it is really helping me not get sick when everyone around me is and I am grateful for that! I just start using the product a week ago, and I really see the difference. It is a really good product and I'm already recommended to my co-workers. I was looking for a product that help me boost my immune system and I know I finally find it. Than you idealraw!! I have been taking Defense a couple of months now and love it! I usually always get sick this time of year when the seasons change and the kids go back to school, but not this year! Being a busy mom with a full time job, I don't have time to be sick! I am thankful I found Defense to help keep me feeling my best! This stuff really works! I started to feel like i was getting sick, had a scratchy throat. Took Defense for two days and felt great, no scratchy throat!! I will be using this stuff all winter long! Hello everyone! I'm a stay at home mom with a 6,4,2 and 4mo old... after I had my youngest I decided to change my lifestyle, I was always tired, always feeding run down. I bought the coconut oil first, using it for just about everything, initially for oil pulling. Then the calm, defense as well as the protein with the superfoods. I'm now the proud owner of everything on here! I have to say tho the defense is my favorite out of all. With my oldest starting school and the two middle going to daycare once a week,the germs that come home... I've noticed a significant difference in my health since I've started it! I'm a believer. I believe in the ingredients in this product and it definitely helped my husband feel better. It just makes me nauseous right now. Otherwise great product!